Since its Philippine launch in 2018, Flawless Biotulin has garnered a cult following among local beauty aficionados. The Flawless treatment Fractional Needling Therapy (FNT) partnered with the plant-based skin gel Biotulin, promises wrinkle reduction and other anti-aging effects, including ultra-hydration, facial rejuvenation, and skin brightening. Biotulin is also considered a natural alternative to Botox, minus the pain and downtime, thanks to its potent formulation of 3 supreme ingredients: Spilanthol, Imperata Cylindrical, and Hyaluron. 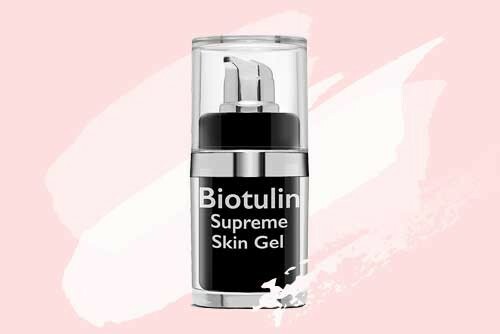 Beauty editors, celebrity glam teams, and A-listers like Kim Kardashian, Madonna, and even Duchess Kate Middleton and Michelle Obama, may have declared this “Organic Botox” as a skincare must-have, but local beauty authorities have more to say about Flawless Biotulin. Check out their praises for the product. Read Cosmo.ph's full review HERE. Read TopazHorizon's full review HERE. Biotulin contains Hyaluron that helps cellular regeneration and defies skin aging by replumping and hydrating the skin. Plus, it becomes a natural alternative to Botox because of Spilanthol, a plant-derived local anesthetic that relaxes facial features and reduce muscle contractions. This ingredient is ideal to diminish wrinkles and fine lines around the eye area and makes the skin look noticeably smoother without the nip and tuck. Read Earth Rullan's full review HERE. Another key ingredient is Imperata Cylindrical that supplies skin with extra moisture-making skin supple and refreshed. One can expect visibly reduced wrinkles and fine lines with continuous use of Biotulin, while many claimed that their skin already looks firmer after just one session with FNT. Don't be the last one to get its gorgeous results. Discover this anti-aging and ultra-moisturizing treatment at a Flawless clinic near you. Your skin will definitely thank you for this! Biotulin is available at the following Flawless clinics: Flawless SM Megamall, Flawless SM North EDSA, Flawless Trinoma, Flawless Light Mall, Flawless Makati, Flawless Mall of Asia, Flawless SM Sta. Mesa, Flawless SM Manila, Flawless SM San Lazaro, Flawless Sta. Lucia, Flawless SM Sta. 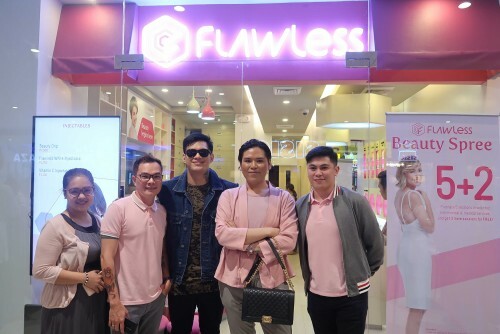 Rosa, Flawless SM Bacoor, Flawless SM Dasmarinas, Flawless SM Calamba, Flawless SM Lipa, Flawless SM Batangas, Flawless Marilao, Flawless SM Pampanga, and Flawless Davao. © 2016 The Beauty Buzz on Flawless Biotulin . All Rights Reserved.